Immigration Lawyer: Why Choose an AILA Attorney? 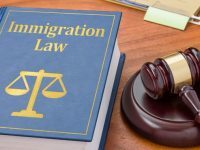 Home › Immigration › Immigration Lawyer: Why Choose an AILA Attorney? Deciding on the right Immigration Lawyer can be a difficult endeavor. As we have noted before, there are over 7.000 immigration attorneys to choose from in the United States and several factors to consider before selecting one. Without a doubt, one of the key factors that should go into your decision is whether your lawyer is a member of the AILA or not. An attorney who belongs to the American Immigration Lawyers Association (AILA) has usually gone through at least 9 hours of Continuing Legal Education (CLE) classes within the last 12 months and is also licensed by the State Bar Association. In other words, being a member of the AILA is a great indicator of a lawyer’s knowledge, experience and commitment. Is a licensed AILA lawyer your best option? Unlike legal assistants and paralegals, an immigration lawyer has completed years of education in law school before being licensed. 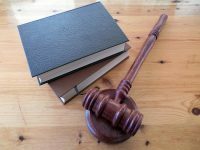 This means that a certified immigration lawyer is bound to maintain very specific ethical standards, and even if they fail to do so, you could address the issue to your local bar association and they will handle the situation. AILA lawyers are always up to date on U.S. Immigration Law. AILA lawyers often represent asylum seekers on a pro bono basis. AILA lawyers are in good standing with the State Bar Association. AILA lawyers specialize in immigration cases. AILA lawyers have earned a number of Continuing Legal Education credits within the last year. 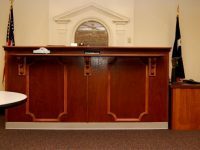 If you are looking for an AILA lawyer in your city, simply go to Ailalawyer.com and select your location as well as the type of attorney you need. If you're unsure about the type or attorney you might need, just click on “What type of lawyer do I need?” to find the area of expertise that applies to your case. 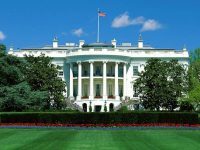 AILA’s website is also a superb source of important documents and updated information about the Immigration Reform. Please, keep in mind that while membership in AILA is neither mandatory nor a guarantee that you will choose the right lawyer, it is a pretty good starting point when searching for an immigration attorney. What are your thoughts on this matter? Will you visit AILA’s website before choosing an immigration lawyer? Whatever you decide, please don't forget to share your experience in the comments section below.